I turned on my heels and hastened away. Soon I found myself in a wooded area. Worn out by the long, sleepless night I curled over my knees down at the root of a Beech tree. It was smooth to the touch, which brought back a memory of another forrest. I recalled how as a child I had been caught there, scoring the bark with my pocket knife. At the time, I had promised my father never to do that again. And yet here I was, all these years later, with an urge to leave behind some clue, some evidence of my being here, just in case this journey would end badly for me. I took out my bayonet and with it carved a big heart, into which I wrote, Natasha. One day when I am long gone, she might come here to piece together what happened during my last days. She might find this symbol, this scar that would never heal. I could just imagine her standing here in awe. My love for her would continue to grow, higher and higher, along with the trunk. Above me, beyond the black shapes of branches snaking around each other, a reddish hue began to wash across the sky. At first I thought it was the first hint of sunrise. With great delight I rose to my feet, only to realize my mistake. Far from being the subtle light of dawn, there it was, in full glare. 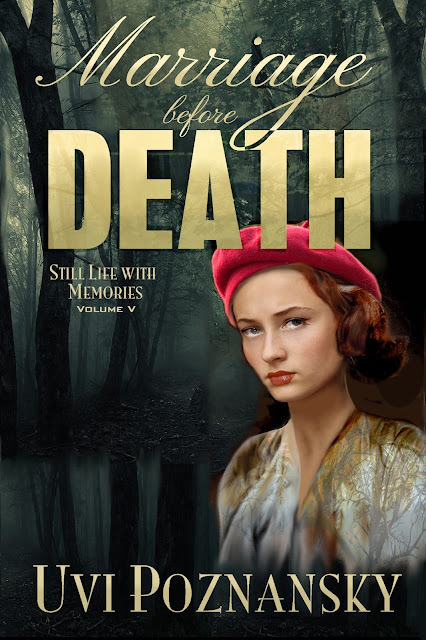 "Uvi Poznansky raises the stakes in a high stakes story, filled with uncertainty, drama and suspense... This book is a nail biter and one I found hard to put down. 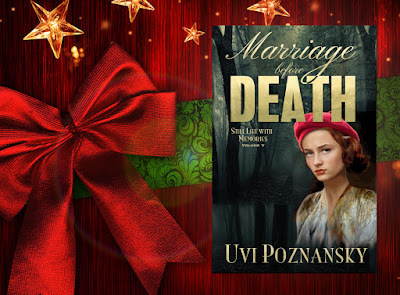 For me, this is Uvi Poznansky's best novel to date."